How many times I wrote that Motorola Xoom owners are one of the luckiest Android buyers on the planet? Now I have to write it for one more times. It’s now official that Verizon will push Android ice Cream Sandwich firmware to its Motorola Xoom tablet users from June 4th. That will bring the tablet up to Android 4.0.4, and add features like speech-to-text functionality, a customizable launch bar, a new built-in photo editor and the ability to dismiss notifications with a swipe. Users can also customize the new launch bar as well as create folders to access frequently used apps from the homepage. 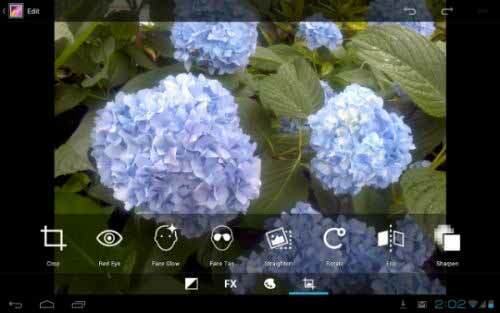 There is a new built-in photo editor installed inside firmware allowing customers to crop and rotate photos, remove red eyes, add effects and correct levels of images. There are also some bug fixes there as usual. It will be a OTA update. So check you device for any new update notification. or you can check the update manually. But remember, not everyone will receive the new software on the first day and it could take a couple of days to reach everywhere in US.